I really have great weekend, & now I start new week with new product to review. This is my first time ever trying out Konjac Sponge. Okey I know im a little late, or very late to try this product. 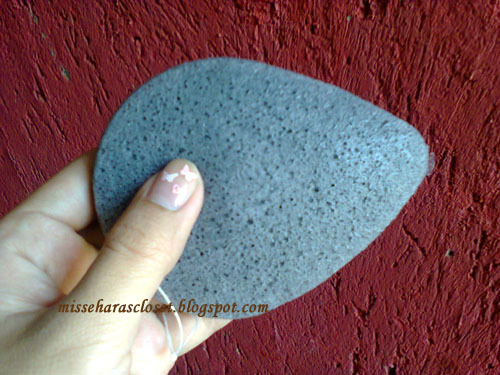 Because lately konjac sponge become very populer cleansing sponge in korea & all over the world! 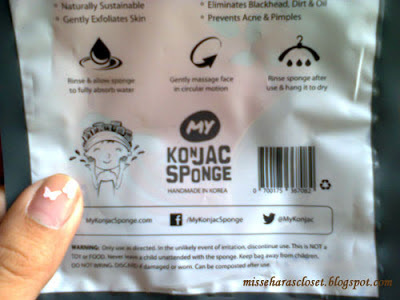 I read on internet there's a research in Japan that has proven that these Konjac sponges can deeply cleanse our skin without damaging the skin. 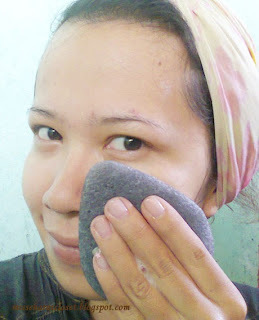 And cleansing our skin with konjac sponge are better than using normal wash cloth or wash sponges. Lucky me, I got free 1 konjac sponge from facebook quiz held by MY KONJAC SPONGE Indonesia. I got Water Drop Bamboo Charcoal Facial Sponge which is great for sensitive or oily skin. The packaging of Water Drop Bamboo charcoal facial sponge is black, or kinda like dark grey. I like the packaging because is simple & sleek. There is a transparent area so we can see the sponge colour. 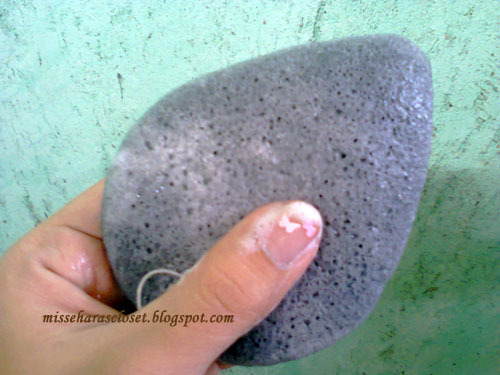 Yes, the sponge colour is black! Very interesting me.. The description on back packaging is very clear, you can read about this product & simple explanation about how to instruction at the back packaging. And you can see this product is handmade in Korea. 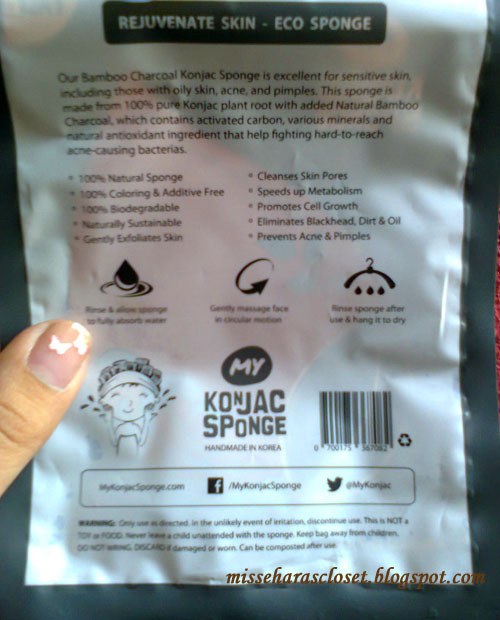 According to the website, MY KONJAC SPONGE is made from 100% natural ingredients. The Water Drop Bamboo Charcoal Facial Sponge is a black colored sponge and enriched with charcoal extracted from the best bamboos in Korea. 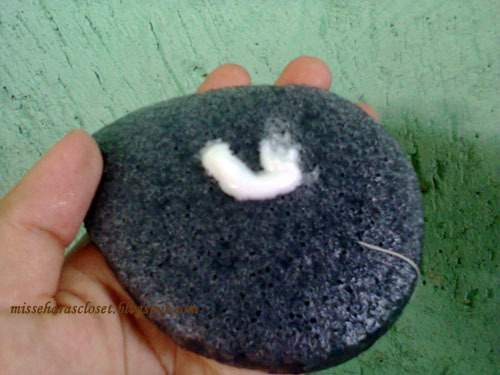 Water Drop Bamboo Charcoal sponge is also effective for cleansing and eliminating blackheads around the T-zone. When I open the packaging for the first time, I a little bit worry. Why the sponge is already very damp??? Not like when I buy normal sponge, its dry. But I didnt worried anymore, because thats the way it is! The konjac sponge is already damp to prevent sponge drying out & turning into hard (it will be like a stone!). The size is about the palm of my hand, fitted to grip. Before I use it, I read the manual that the sponge must be soak into warm water until the sponge absord the water & become fully soft. 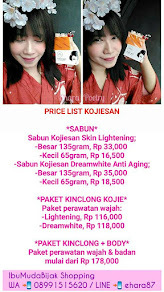 My skin love it,,,I love it so much! You can see the bubble from my cleanser comes out from the sponges..
First time wash my face using this konjac spons I feel magical things happen in my skin. Ooh, Im not lying. I really feels so much different, washing my face with My Konjac Sponge is feels better rather than I wash my face without sponge or any normal sponge. My face skin feels very clean, smooth & radiant than I ever had!! 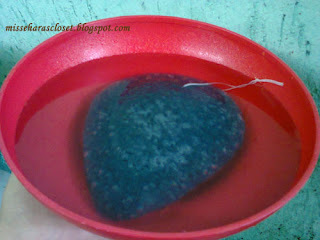 After use the sponge, I soak the sponge into warm water, so the bubble from my cleanser is gone. After that I gently press the sponge with both hand & drain the sponge. After that, I hang in the sponge using a clothes hanger in the well ventilated place for air drying. I read the manual, we can keep the sponge into refrigerator, so the sponge can last longer. If you use the spons daily, once a week you can sterilize sponges by soaking a sponge into a bowl of water and heat in microwave for 1 minute. Or it could also soak the sponges into boiling water for 60-90 seconds. 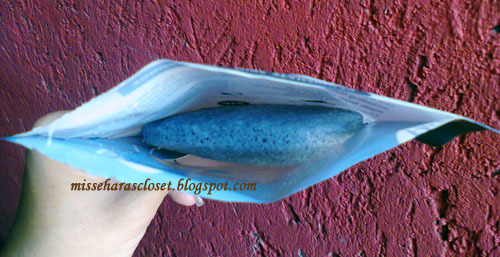 This Konjac sponge can last up to 3 months! But when it starts to break down, I suggest you to replace the sponge. 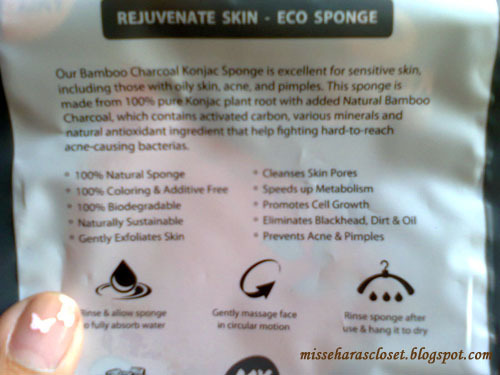 Well, Bamboo Charcoal Konjac Facial Sponge from MY KONJAC SPONGE maybe a little expensive than any normal sponge. But you will not regret having bought this konjac sponge. 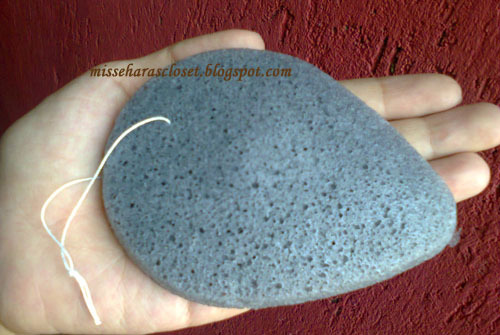 If you use it routinely, konjac sponge will also be a good skin care. 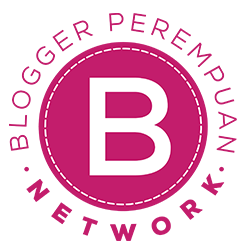 So actually, the price is very cheap compared to the amazing results that we get! Will I keep using it & buy it again??? How about you? 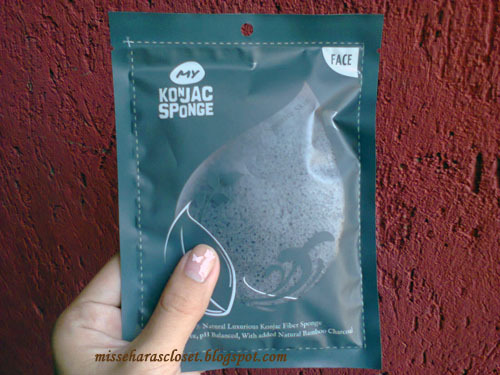 Have you ever try konjac sponge? Do you like it? I would like to hear your thought (hmm,,read maybe, hahaha) about this konjac spons! Good review! ^-^ I might want to buy this. Where did can you buy this?? nice review. 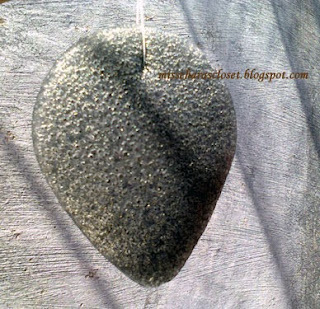 pernah nyobain konjac sponge tapi bukan merek ini. I will very appreciate if you do the same..
Oh really interesting sponge looks realy interesting and new to me. Konjac sponge is new for me too, you must try this sponge :-) very recommended! magical things happened to your skin when you used it?! Sounds like a product I need to have - my face could use some magic. Thanks for the review! 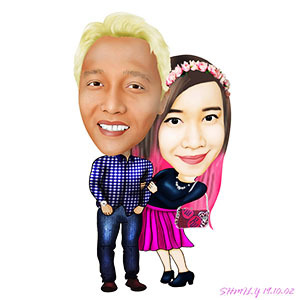 Hi, I loved your blog!! May be you can visit mine, it's about fashion and stuff from my natal city..